Before I started learning about essential oils, I still couldn’t stand those bug repellent sprays. 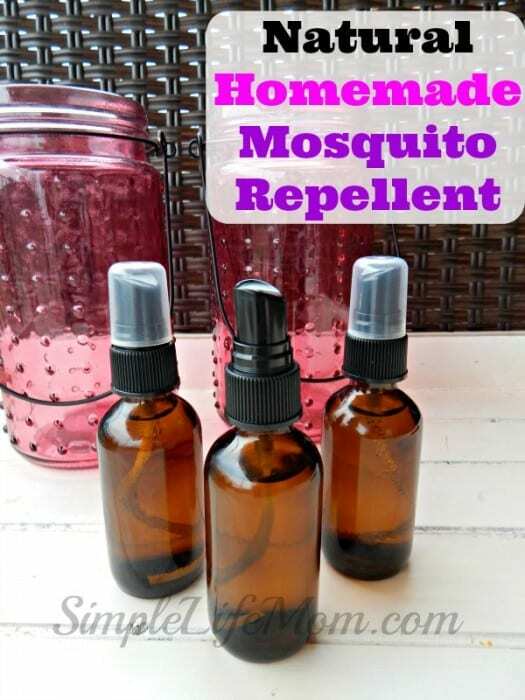 I’m sure my parents sprayed straight DEET all over us as kids (just kidding), but after learning more about the contents in those spray bottles I am SO excited that it is easy to make my own Natural Homemade Mosquito Repellent! And it’s not just for mosquitoes! This beauty works on all kinds of pesky insects. I actually use it in my garden on my plants. planting some of these 20 Insect Repelling Plants in your garden or in a pot on your deck. making homemade fly, gnat, and other bug traps for pennies. Well now, when the other parents are spraying down their kids with toxins, you can quickly move up wind (my kids literally run) and spray some of this completely natural and effective essential oil spray! Note, my kids are not under the age of five. These are diluted and should be fine with children five and older, but always do your own research and testing first! These are all fantastic insect repelling essential oils. 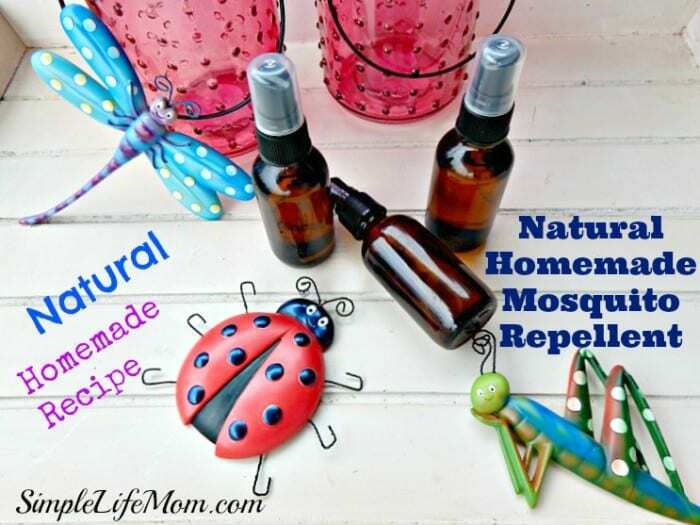 Put them together and you have a wonderful Natural Homemade Mosquito Repellent that really works! Citronella Essential Oil – most people know citronella as a insect repellent because of certain companies using them to make candles, tiki lamps, and sprays. Well, it’s also a fungicide, antiseptic, and kills odors. It’s a great oil to have around. It is one that many say to avoid while pregnant (just FYI). Cajeput Essential Oil – Cajeput is a lot less known. It usually comes from Nepal, Australia, or Indonesia. Along with being an insecticide, it’s also antibacterial and antiseptic. Cinnamon Leaf Essential Oil – When you buy cinnamon, make sure it is cinnamon leaf, not bark. Cinnamon bark with burn your skin off (yes, I’ll admit it, I’m speaking from experience). Cinnamon leaf oil gives this blend a warm, earthy scent. Along with being an insecticide, antibacterial, and antiseptic, it is also anti-inflammatory. I make a great soap with cinnamon leaf and raw honey. Peppermint Essential Oil – peppermint is well known and used. In fact, it’s such a great insecticide as well that I know a number of people use it to drive away ants in their house too. Lemon Grass Essential Oil – lemon grass has such a light lemony scent. It really mellows out the citronella. I grew lemon grass in a pot in my back yard, because I knew it wouldn’t survive my winters (it really does like it hot). Even over wintering in my kitchen (cut back of course) it died. Keep that in mind if you ever buy the plant. But it’s such a delicious smell. Being an insecticide, this made another great Soap that I sell in my shop. A great one for the summer. And it smells like lemons and lavender!! 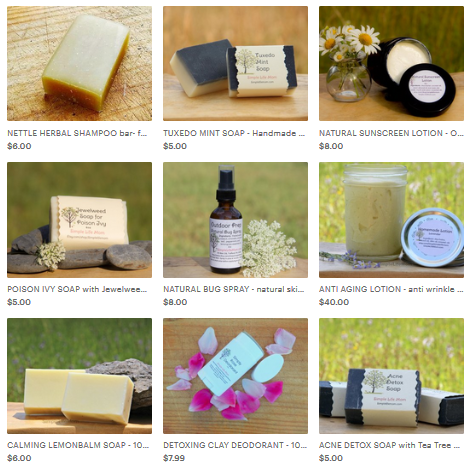 Can’t get a better insect repelling soap than that! I placed this recipe in a 2 oz glass sprayer bottle that gives me over 480 misty spritzes (Yes, I counted). So a little bit goes a super long way. I love the frugal aspect of that. Combine all oils in a 2 oz glass spray bottle. Add enough filtered water to fill. Spray on and around areas to repel bugs (test on small area of plant or your skin before covering). As noted above, all essential oils should be diluted when using with children. These are highly diluted, but you should still be careful to test on a wrist as you would yourself. With smaller children I have used these oils diluted on clothing where they may inhale them, but there is no direct skin contact. If there’s a question, you can also just spray the area. If you’re comfortable burning a citronella candle, then this is the same idea. Do not use on babies or if pregnant. Don’t forget that you can make this yourself OR you can buy it in my shop. Thanks always for your support!! I also make homemade insect repellant that has worked very well. 🙂 Thank you. The crockpot, I like to use real organic leaves and bark, so I will put lemongrass, peppermint leaves, I will use cinnamon sticks, but will have to use the citronella and cajeput oils. that will go next to the couch, and the diffuser will go in the doorway to fend the little ‘buggers’ off! I must try this! My little grandson is so allergic to mosquito bites, it is terrible. I don’t want him to be covered in toxins, either, so this might just do the trick! Thanks! Yea! Carla, I’m glad you found this then, and I hope it helps him. 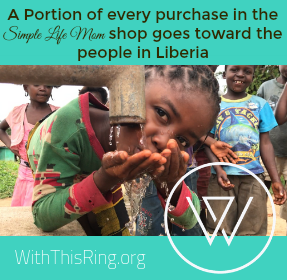 Thanks so much for the info again – I am thankful for the info you share! I am sorry, I read this and re-read it, and can’t find how much of each EO to use. I was also wondering if this is kid-safe, as I’ve had an aromatherapist tell me that Peppermint EO isn’t consider kid safe. Thanks again so much for the great info! I never liked Bug Spray either! Yes, it’s been one of those weeks. The amounts are there now. It’s highly diluted, so I personally would use it on a child five and up after doing a wrist test, but please do your own research. Peppermint essential oil has menthol which can effect respiration in those with chronic lung issues or children that have constant colds. Do you know if this is safe to use on dogs? I don’t like putting any chemicals on them. Yes, it should be totally fine on pets. All animals respond differently to scents so you can always spritz some in the air for them to get used to it or do a patch test, but honestly the stinky stuff people usually put on animals for various reasons makes this seem like nothing.